by Courtney Herring and Michelle Y. Talbert, Esq. 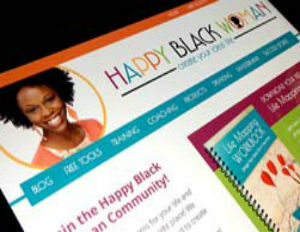 Black Enterprise sat down with Rosetta Thurman the creator of Happy Black Woman to discuss how she uses affiliate marketing and its significant role in her own wealth creation and business model. It’s frankly an area that many black-owned businesses are not capitalizing. For those not familiar, affiliate marketing is earning a commission through either the promotion of another brand or company’s products, tools or services, or shared revenue generated from selling products and services to joint customers and audiences. The old adage “Your network is your net worth” has never been more true for so many business owners operating in the digital landscape. But are we fully maximizing its benefits? As an entrepreneur building a business, it’s become increasingly important to create multiple revenue streams. The wonderful thing about the digital age is the incredible power business owners have to not only increase their networks and spread the word about their own products and services, but to also earn revenue from those connections by helping their fellow entrepreneurs do the same through affiliate marketing. Even new entrepreneurs are benefiting from this marketing strategy in two important ways. The first one, which is quite obvious, is generating passive revenue by partnering with companies that share your values. The second benefit is expanding and nurturing their own communities by recommending beneficial tools, services and products.The results? Entrepreneurs are adding incredible value to their community, while establishing trust and authority simultaneously – both of which are necessary to attract the right kind of clients and customers. In just over two years, Rosetta Thurman has built a multi-ethnic, multicultural community of almost a quarter of a million women worldwide. Happy Black Woman helps women ‘create their ideal life.’ Thurman states emphatically that, The Happy Black Woman is Rosetta herself. And thanks to the business and life tools that she shares through her online platforms, she has created a thriving business fueled by her community of Happy Women across the globe. She’s created a multiple six-figure business, living from the one suitcase into which she says all of her belongings fit. Calling it her ‘Cycle of Liberation,’ “when you do one thing that makes you realize it’s possible for you to do anything,â€ in 2010 she started her quest to find out what made her happy. 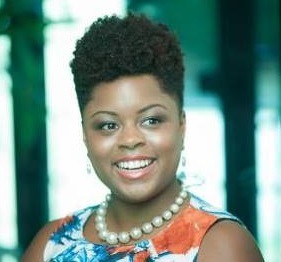 Living in the Washington, DC area at the time and working a corporate position, she quit her job, cut her hair and went natural aka ‘The Big Chop,’ and began hosting happy hours and blogging about her journey. What she found was a community of women who were also feeling unfulfilled but desperately wanted: Happiness, Success and Freedom. The three words became a recurring theme and guide all of Thurman’s decisions for her community. 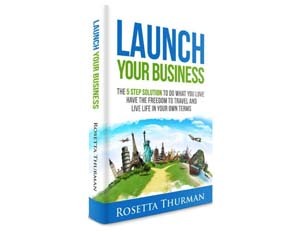 In 2007, Rosetta became familiar with affiliate marketing programs through the help of a fellow blogger during her days working in nonprofits. 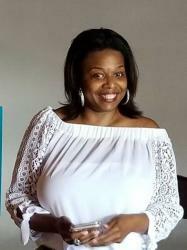 With helping others in her community being the main objective, Thurman’s first big affiliate relationship was when she partnered with Bluehost while informing others about how they could successfully start their own blogs. By simply providing her personal recommendations about the hosting provider, she made $900 in one month. She says she was “so amazed” that “just by sharing resources” that she would share even if there were no financial incentive, she could bring in that kind of revenue. But Thurman is sure to emphasize that although the financial pay off for participating in affiliate marketing can be great, it’s not a simple get rich quick scheme. In order to be successful at affiliate marketing, she admonishes participants to think like marketers. The result is not only increased revenue, but increased awareness of how to market your own products and services to others. 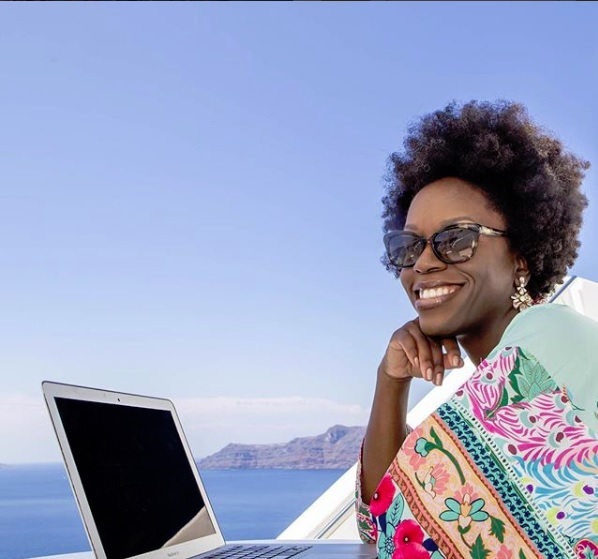 It was through participating in affiliate marketing that Rosetta realized how to connect creating content with making sales. But entrepreneurs don’t have to limit themselves to corporate partnerships, only. There’s another way affiliate marketing works to broaden your reach and broaden the promotion of your products and services without breaking the bank with paid marketing. Creating relationships with other individuals who have businesses is a powerful way to partner and provide value by audience sharing. With the ever expanding digital age come telesummits – a relatively new form of affiliate marketing – that allow business owners to partner together virtually to provide valuable the audience via live or recorded phone presentations or interviews on topics of interest. For the relationship to be successful for all involved, Thurman explains, “The idea is that all of the speakers are promoting the telesummit, but at the same time, depending on the host, there’s an opportunity for you to be an affiliate for the sale of the recordings of the telesummit.â€ This structure leverages the audience of each participant, exposing participants to new and broader base of potential customers. She also says that for new speakers looking for opportunities to, “get their feet wet,” telesummits provide wonderful opportunities to gain experience. Rosetta has participated in affiliate marketing on both sides of the transaction. Which is great news for you as the reader because she shared with us great insight into what you should consider before partnering with someone and what she never does. You also want to be sure that you are providing something your community will benefit from. Don’t just take the dollars. It may be that you will get 75% of every sale, but if the product isn’t a good fit for your audience, they likely won’t buy and may even lose trust in you. In either case that would be a failure for you. Another consideration that potential partners look at when determining fit is reach. This is especially true for telesummits, described above, where every participant is expected to market the program to their respective platforms and audience. Once it’s been determined that potential partners will become actual partners we asked Thurman for suggestions that people can implement to protect themselves and ensure payment for delivering their end of the bargain, as agreed. She suggests starting with corporate affiliate relationships before venturing into relationships that are more like joint ventures, pairing your brand with another business’ brand. She says it’s likely the Post Office’s error if you don’t receive payment from a corporate affiliation which, “is pretty much foolproof as I have experienced it.”Note that many corporate affiliates make payments right into your PayPal account or by other electronic means. To protect your interests, Thurman suggests, “You really do have to make sure that the people you are partnering with…have had a proven track record,” with the product, service or program with which you’re thinking of becoming affiliated. Ensure the product is the right fit for your audience. This was something that she stressed throughout our interview. She cited it as the main reason that folks fail when they add affiliate marketing to their revenue creation efforts. Success with affiliate marketing does not just mean revenue generation. Make sure that your partners have great reputations in the industry. “Google is your friend…I Google everybody.” You are responsible for doing your own due diligence. People can promise you anything but you want to know what others are saying about them. Also, sometimes folks are brand new and overestimate what they can deliver. Because of this Thurman NEVER works with anyone brand new. She goes on to explain her reasoning further, saying, “Just because I know that there’s growing pains that we all need to go through and I don’t want that to be our first experience together.” And despite the criticism she gets from others suggesting that she may be missing out on the “next big thing,” it’s a precaution she stands by. Does it seem like numbers one and three are the same? They are. That’s how passionately Thurman feels about adding value to customers and audience. And that is why her brand is so popular and profitable. She thinks about her community members above dollars and in so doing has created an empire that enables her and many of her community members to live lives of happiness, success and freedom.